The British Rhinological Society was created to promote education and research in all aspects of rhinology - the study of the nose and sinuses and related areas including facial plastics. The Society provides a platform for those with an interest in rhinology to help disseminate knowledge on the subject. There are currently nearly 300 members from all round the world. This year the BRS Juniors will hold their inaugural meeting on 16th May, the day before the BRS AGM. There will be lectures on rhinological topics aimed at all trainees who are thinking of developing a career in rhinology. Click the image for more details. This meeting is free, courtesy of Medtronic. Abstract submission and registration are now open for the next annual BRS meeting in Glagow in May. Click the image for more information. 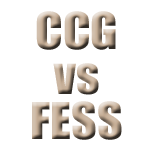 Prof Claire Hopkins has written a letter to the CCG in Bristol highlighting the economics and cost-effectiveness of FESS in treating CRS, asking the group to reconsider their proposal to restrict such surgery in their area. This letter is available in a generic form for others to download and forward to their own CCG if they are facing similar resrtictions. It can be downloaded by clicking on the image to the left. A BRS research pump-priming grant of up to £3000 is available now. Closing date for applications is 30th May. Click on the image for more informationa and an application form. If you would like to become a member of the society please click here. Catch up with the Society's previous newsletters. International and national events run by societies and institutes affilliated with the BRS. 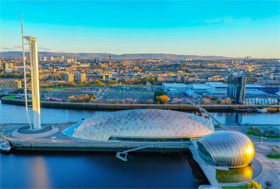 The next Annual Meeting of the British Rhinological Society will be held at the Science Centre in Glasgow on 17th May 2019 hosted by Nick Calder and Alasdair Robertson. The BRS will again be actively involved with BACO when it is held in Birmingham in 2020. Put the dates in your diary now. All members of the BRS are automatically members of the European Rhinologic Society through association. As well as being a member of a Europe-wide society, this will qualify youfor a 10% discount on all ERS-affilliated meetings and courses. For more information about the ERS and its meetings & courses, click here. The society is in a position to be able to offer funding towards a fellowship each year to one of its members. Medtronic have generously put up funds of £2000 for a member of the BRS to attend the American Rhinological Society in Septmeber. The BRS can offer a pump-priming grant of up to £3000 towards a member's research project.